 2 O Canada – En Français O Canada! Terre de nos aïeux, Ton front est ceint de fleurons glorieux! Car ton bras sait porter l'épée, Il sait porter la croix! Ton histoire est une épopée Des plus brillants exploits. Et ta valeur, de foi trempée, Protégera nos foyers et nos droits. Protégera nos foyers et nos droits. 3 What does it actually mean – En Français? O Canada! Land of our ancestors, Thy brow is wreathed with a glorious garland of flowers. As in thy arm ready to wield the sword, So also is it ready to carry the cross. Thy history is an epic Of the most brilliant exploits. Thy valour steeped in faith Will protect our homes and our rights Will protect our homes and our rights. 4 English vs French O Canada! Our home and native land! True patriot love in all thy sons command. With glowing hearts we see thee rise, The True North strong and free! From far and wide, O Canada, We stand on guard for thee. God keep our land glorious and free! O Canada, we stand on guard for thee. 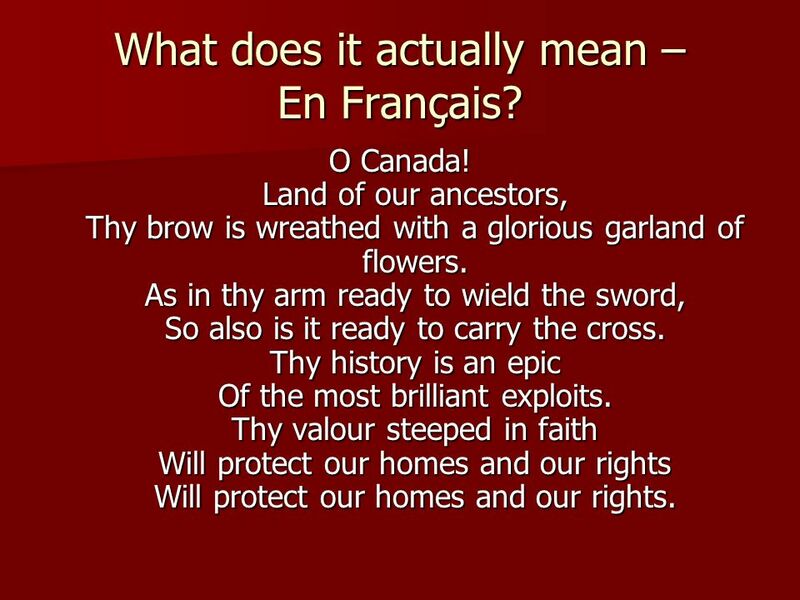 O Canada, we stand on guard for thee. O Canada! Land of our ancestors, Thy brow is wreathed with a glorious garland of flowers. As in thy arm ready to wield the sword, So also is it ready to carry the cross. Thy history is an epic Of the most brilliant exploits. Thy valour steeped in faith Will protect our homes and our rights Will protect our homes and our rights. 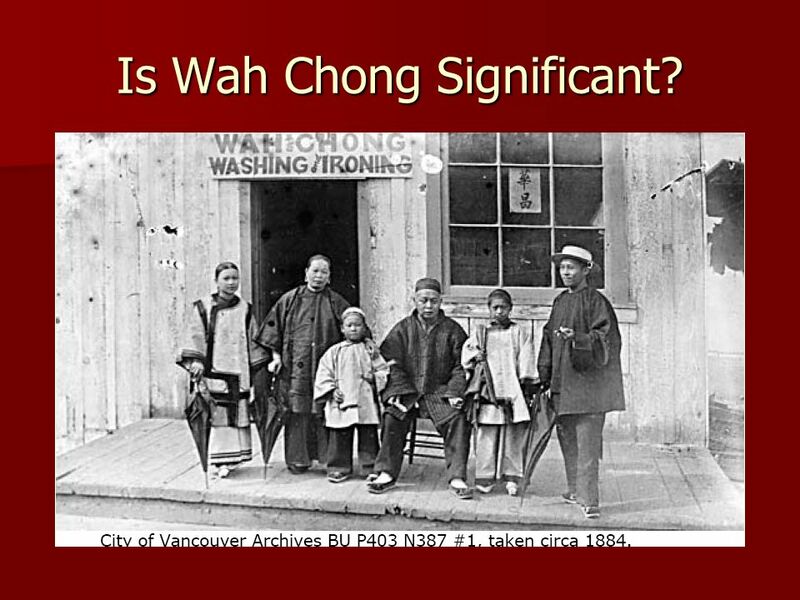 6 Is Wah Chong Significant? 7 Is Wah Chong Significant? 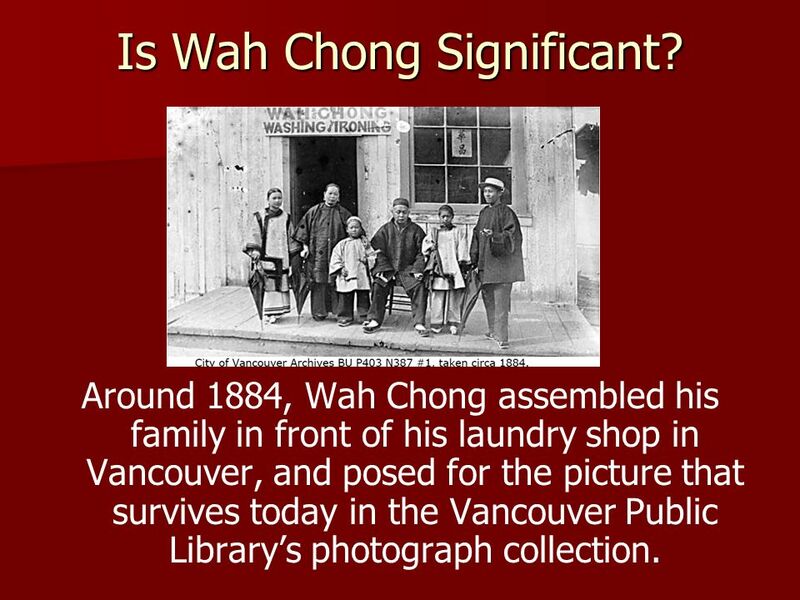 Around 1884, Wah Chong assembled his family in front of his laundry shop in Vancouver, and posed for the picture that survives today in the Vancouver Public Library’s photograph collection. Télécharger ppt "“The True North Strong and Free”"
©Houses of Parliament/Susie B – freedigitalphotographs.net. Point de départ You are familiar with the class of French verbs whose infinitives end in -er. The infinitives of a second class of French verbs end.